This watercolor demonstration of painting sand dunes is based on a photo I took of sand dunes at Fingal Bay at Port Stephens on the New South Wales coast. The trick with painting sand dunes with watercolor is looking at the light and dark tones in the sand area as well as the various shadow shapes. The cast and form shadows combined with the tonal changes give the sand dune its shape. Brushes: Sizes 24 and 16 for larger washes and 12 and 10 for the smaller areas and detail. Do a loose drawing of the scene. 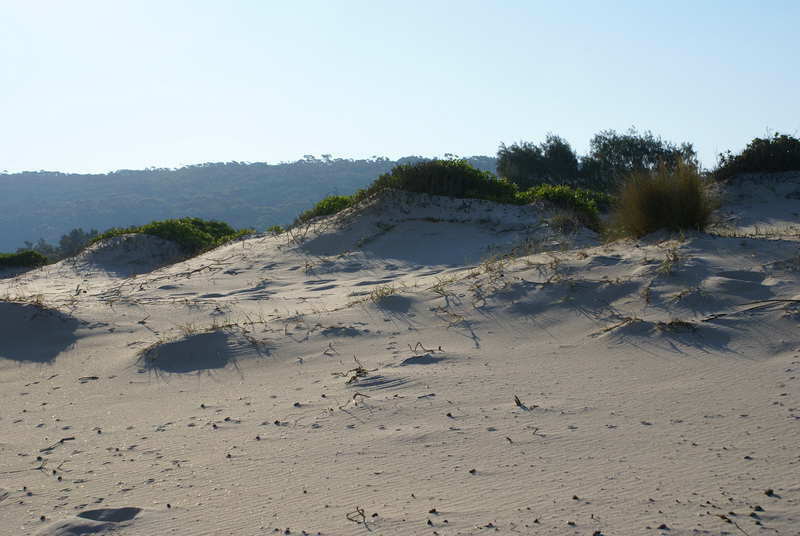 The key area is the line at the top of the sand dunes and a general indication of areas in shadow and sunlight. Once this is done mix some cobalt blue with lots of water, the consistency should be about the strength of a weak tea. This will become the under painting for painting sand dunes. With your board tilted to about 25 degrees paint the sky area down to the top of the sand dunes. 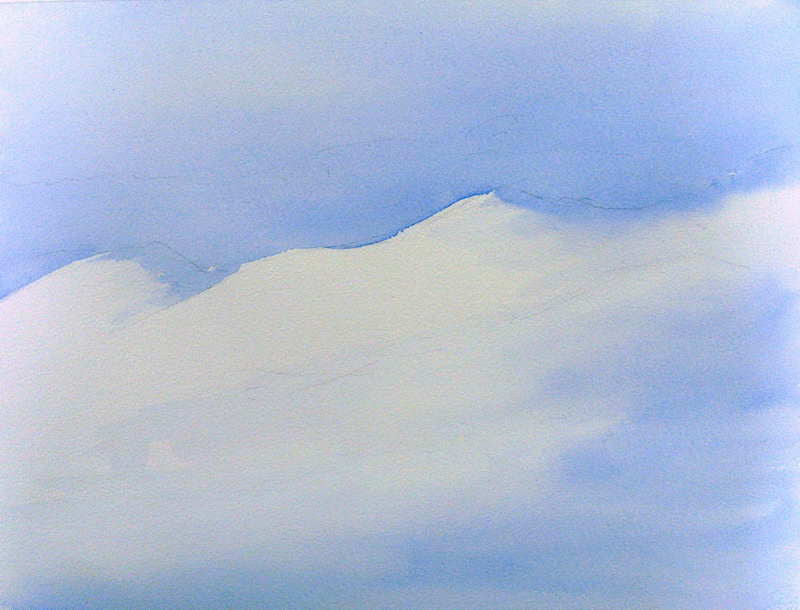 Then add more water to your mix of cobalt blue and paint a light wash of cobalt blue down below the top of the sand dunes as in figure 2. It is very important to leave the light parts of the paper below untouched by the Cobalt Blue mixture. Leave this to dry thoroughly!